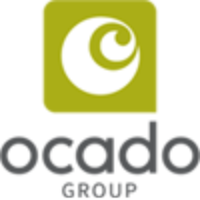 Ocado Group PLC (LON:OCDO), today announced preliminary results for the 52 weeks ended 2 December 2018. “Our performance last year was the result of many years of focus, dedication and perseverance: what we have called our “18-year overnight success”. Our growth story, however, is only just beginning. We now have in place a platform for significant and sustainable long-term value creation as the leading pure-play digital grocer in the UK, a world-leading provider of end-to-end ecommerce grocery solutions, and as an innovative and creative technology company applying our proprietary knowledge to a range of challenges. 2018 was a transformative year for Ocado. A results presentation will be held for investors and analysts at 9.30am today at the offices of Goldman Sachs, River Court, 120 Fleet Street, London EC4A 2BE. Presentation material will be available online at http://www.ocadogroup.com/investors/reports-and-presentations/2019.aspx. Click OCDO for the full archive.